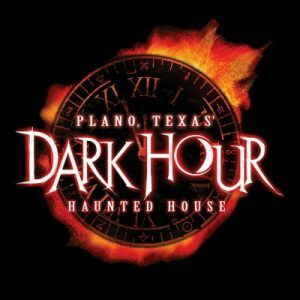 Dark Hour Haunted House is a Haunted Attraction located in Plano, TX. Team Nightmare in North Texas reviewed this attraction on March 18, 2017. Opening in 2013, Dark Hour Haunted House provides a theater quality haunt. Located inside a closed down sporting goods store, Dark Hour provides over 30,000 square feet of an entertaining and terrifying experience that will not soon be forgotten. Dark Hour is not only open during the Halloween season, but provides shows throughout the year with a different haunt theme every time. At Dark Hour, the actors are required a minimum of 3 days of training to participate in any of the shows and many of the core actors that you will see have been in the business for years. The amount of actors you encounter in the haunt is a good balance. You are not overwhelmed by too many people jumping out at you or crowding you in, but you are also not left wondering where the actors are. The cast stayed in character the whole time we were in the haunt. We did not encounter any of the cast just standing around and not interested in participating. We entered the haunt actually right before closing time and we never felt rushed to get through. One of the characters that stood out was Carl Cleaver. He came around while we waited in line and scared people, took selfies with them and told jokes. There was even a video playing while we were in line of Carl’s Playhouse and him trying to hide his murder box from the “FED’s” which was very entertaining. It’s always cool to have a character who is scary and has a sense of humor, plus the way the actor playing Carl bulged his eyes while in character was pretty impressive. Another actor that stood out was a drunk leprechaun sprawled out in a chair in the parlor, which was the first scene in the haunt. He sat there staring at us which made us think that we needed his permission to proceed. Finally, he asked us why we were just standing there staring at him and to get out of there. He was very good at making us feel unwelcome in his parlor with the hateful look on his face. It was refreshing to see that the haunt doesn’t rely on screaming actors and jump scares. The quality and believability of the makeup and costumes are superb. Every actor we came across was fully made up. Dark Hour has full wardrobe and makeup areas with highly trained professionals to make sure each actor looks the part. They also use masks and prosthetics to enhance the characters’ appearances. The costumes and makeup matched the theme of the show nicely. They took great care to make the leprechauns faces scary-looking and, of course, they were complete with green leprechaun outfits. The costumes that stood out during this show were the Fomorian Giants. They were towering over us and had gruesome face masks on that made them so creepy and awesome at the same time! They also blended nicely into the background of the scene they were in; when you walk into the room, you don’t see them at first… then they just pop out. Another costume that stood out was a demon in one of the rooms. The mask, makeup and costume was so believable that you felt like you were in Hell meeting Satan himself! The attention to detail and care taken to make sure each character is decked out and ready to play the part is truly seen at Dark Hour. When you drive up to the haunt, there is a well-lit parking lot and someone to direct you to the open parking spaces. Parking is free and it is clearly marked where the entrance to the haunt is. Once you enter the haunt, there is a roped-off line for tickets. Tickets are easily paid for by cash or credit card and can also be bought on Dark Hour’s website ahead of time. Be aware, though; if you buy ahead of time, there is a convenience fee. I contacted the haunt through Facebook prior to going to ask if they had any coupons available; they responded very fast and willingly to let me know that the gas station next to them did have coupons available. While waiting in line to enter the haunt, there was plenty to do. The area that you wait in is called “The Cemetery at Coven Manor,” where you can find gravestones and old statues. During the wait, we were entertained on stage by a dark fairy doing Irish Riverdance, a joke-telling leprechaun and a singing banjo player. There were also videos playing in-between the live entertainment of the story of the haunt, Carl Cleaver’s playhouse and live video of people walking through the haunt. Once you make it to the front of the line, you are split into groups of six to enter the haunt. The small groups are great because you are not in a huge crowd going in and can experience every aspect of the haunt personally. We never ran into the group in front of us and the group behind us was not in sight. When you exit the experience, you are greeted by an area that has some of the actors present to take pictures with, merchandise and food available for purchase and a fortune teller. Indoor restrooms are available prior to entering the haunt and exiting the haunt. When you are close to the haunt, you drive over some railroad tracks on a semi-dark road, which adds to the build up. Then, you turn onto the road where the haunt is located and the building has an abandoned warehouse feel. After buying your tickets, you are already thrown into the experience of the haunt. The area before even getting to the line is decorated elaborately and there are actors waiting to come up to scare and greet you. The overall vibe before, during and after the haunt is very well thought out by the owners, creating anticipation, dread and excitement for a thrilling experience. Dark Hour does use animatronics, as well as light and audio effects. They use lighting effects that are typically used at concerts and audio effects that are used in stadiums and theaters. You can really see and hear the quality of the effects as you go through the haunt. One scene that stood out while walking through the haunt was a tunnel with a bright light ahead of you and you could see the shadow of a large claw. You couldn’t tell where the claw was coming from or when the actor was going to approach you, which made it that much more intense. Another scene that stood out was a mechanical leprechaun behind a clear wall. When he belched, clear liquid hit the clear wall, making it seem like the liquid was coming towards you. The final scene that stood out was a witch that seemed to throw fire and cause an explosion while trying to kill one of the leprechauns. Dark Hour also uses real water in scenes where you walk across a bridge that has a pond in the scene. They also use what feels like real snow during their Christmas show. The theme of this particular show that we went to was called St. Patty’s Slay Weekend. They had plenty of leprechauns, giants and dark fairy’s to go with the theme. Though Dark Hour focuses a lot on their sets and props to make it a theatrical haunt experience, there were plenty of scares to be found before and throughout the haunt. When in line, there were actors around to spook you and, while in the haunt, there were plenty of little nooks where the actors could hide and jump out. Some actors blended into the scene and just walk out to cause a fright. There are also areas where gruesome scenes and things hanging touch you to cause a shutter. It’s also a nice change that they don’t go for the typical scare of a chainsaw or claustrophobia. The value of your money for the experience is definitely worth it. The ticket price for general admission was $28, but the coupon that we were able to get from the gas station next door was $5 off, so only $23 for a 30-40 minute, high-quality haunt experience was worth it. They offer a couple different options besides the general admission. They offer the fast pass ticket for $50 which you are able to skip the line with. It is almost double the cost of general admission, however, this could be worth it for you if it is extremely crowded, especially during Halloween season. They also offer a VIP experience for $75 which includes swag, a private suite with food, and two fast pass trips through the haunt. I would personally choose this option over the fast pass for just $25 more! In addition, Dark Hour offers a backstage tour for $35 which is a lights on tour that lasts approximately 2 hours. And finally they offer a season pass for $179 which gives you access to all 8 of their shows for the year. This is a $45 savings. All in all, I would highly recommend taking a trip over to Dark Hour Haunted House for an awesome haunt experience.